Clachaig Inn, Glencoe provides modern comfortable accommodation which is complemented with a traditional hearty Scottish breakfast - a really great way to start the day! The hotel has 23 fully modernised bedrooms with en suite facilities; the accommodation offers a choice of double, twin and family rooms. All bedrooms have shower and toilet facilities, with some having a bath as well. Many of our bedrooms enjoy magnificent views of the Glencoe mountains and all are designated 'non smoking'. We also manage 12 luxury self catering properties located at Clachaig, Glencoe village, and nearby Ballachulish. Glencoe is one of the best hillwalking areas in the Highlands of Scotland, which makes Clachaig an excellent base for outdoor activities such as hillwalking, climbing, sailing, skiing and snowboarding and mountain biking. Clachaig Inn, Glencoe is also an excellent centre from which to explore the magnificent glens and lochs of the west coast of Scotland, be it on foot or by car. Alternatively, it is an ideal location in which to just relax and enjoy the atmosphere of Glencoe and the Scottish Highlands. You can find more information about Glencoe on our Glencoe information web site. The atmosphere at Clachaig is legendary, and is known throughout the world. The inn, located right in the heart of Glencoe has three lively bars where good food is served throughout the day. Local venison, prime Scotch beef and Scottish salmon are popular favourites. Imaginative, mouth watering, vegetarian dishes are also featured daily. For the last 30 years, Clachaig has specialised in Cask Conditioned Ales and now provides a wide range of real ales and craft beers from breweries across the Scottish Highlands. Malt whisky is also a speciality, with the 'top shelf' featuring as many as 300 different varieties at the last count - both rare and popular. Clachaig is a winner of prestigious awards such as the Campaign for Real Ale's "Best Pub in Scotland" and Les Routiers UK Real Ale Pub of the Year. As you can imagine, we're proud of the high reputation for the quality and range of cask ales on offer. We have been voted T.G.O's best UK outdoor pub in 2016 and 2017. There are no jobs with Clachaig Inn at the moment. Sign up to email alerts below to get notified when new jobs are added. 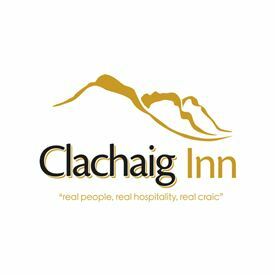 Get the latest jobs from Clachaig Inn sent direct to your inbox!